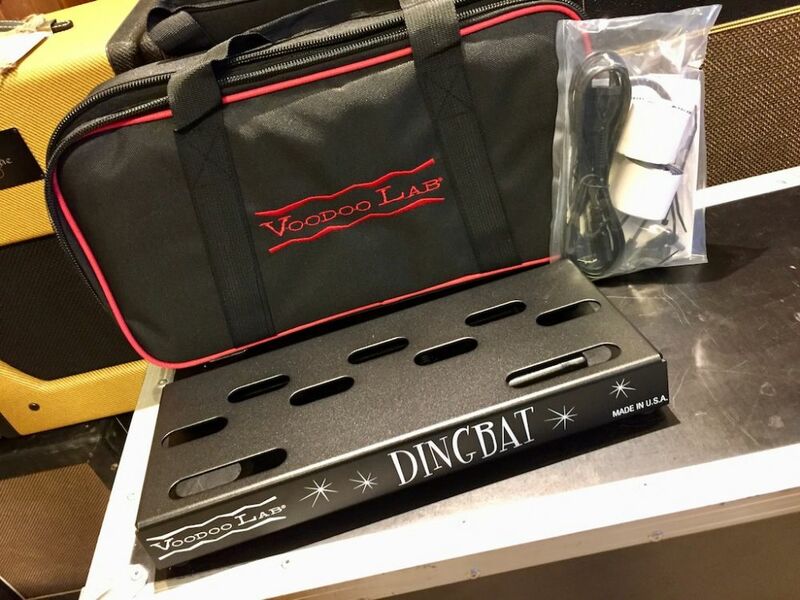 Dingbat TINY (37cm x 16,5cm) is designed to be the ultimate professional travel board. Secured in its tour-grade gig bag, TINY is compact enough to stow easily in the overhead compartment or beneath the forward seat of any aircraft. Combined with Pedal Power X4, Dingbat TINY becomes a complete pedalboard solution anywhere in the world your music takes you. The innovative patented design of a Voodoo Lab Dingbat pedalboard provides a rugged, lightweight platform for organizing your pedals and keeping cables neatly tucked away and out of view. Made from superior American 6061-T6 aircraft-grade aluminum, every Voodoo Lab pedalboard is crafted in Sonoma County, California. Each Dingbat TINY ships with a heavy-duty tour grade padded gig bag. 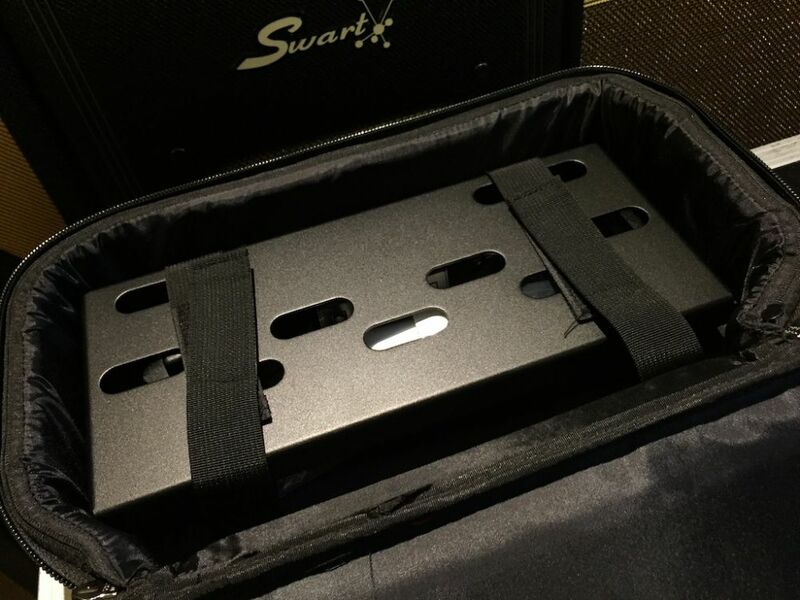 Premium materials and construction ensure superior performance and long-lasting protection for your pedalboard. Also included is a convenient removable shoulder strap for easy transportation. 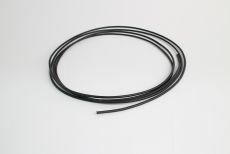 Power Packages offer the convenience of a factory installed power supply. 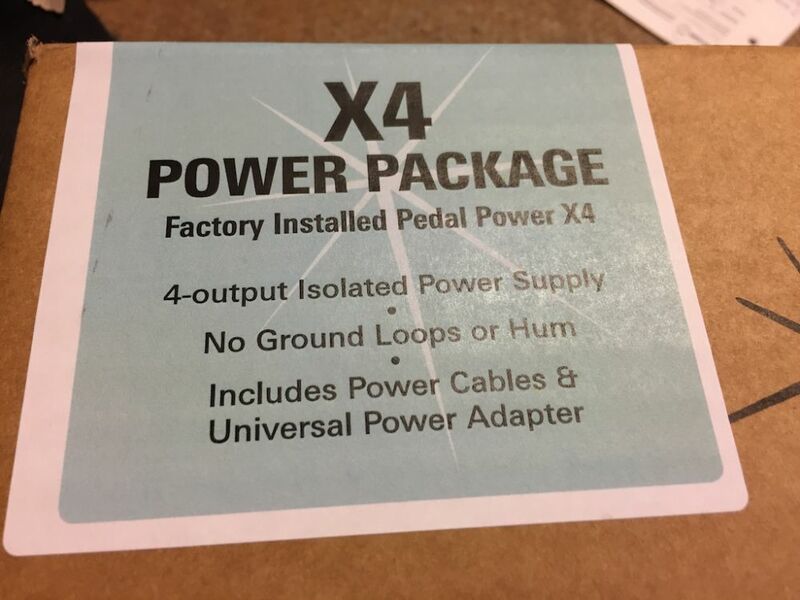 Dingbat TINY is available with the state-of-the-art Voodoo Lab Pedal Power® X4, which will properly power both high current DSP and sensitive battery operated effects with zero added noise. The ultra-lightweight Pedal Power X4, featuring 4 completely isolated outputs, is designed to mount beneath Dingbat pedalboards using 3M Dual Lock (included). 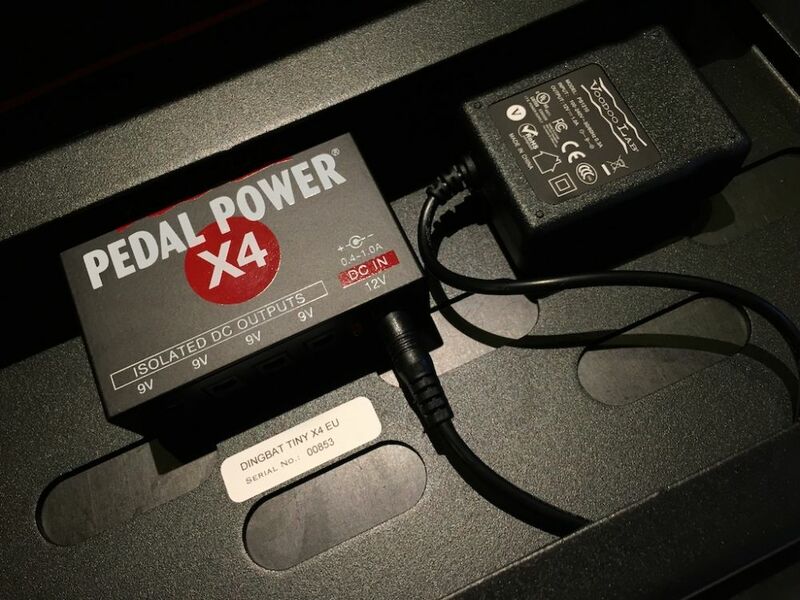 Pedal Power X4 includes power cables and conveniently operates at any mains voltage for international touring.